TAV Observed Prayer For Late Ama Grace Spring. 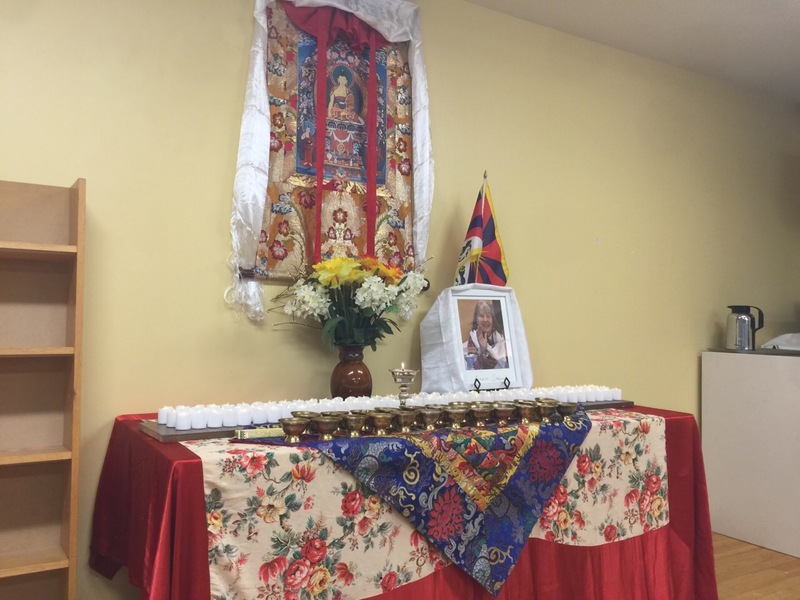 Vermont: On Friday, March 29th, 2019, members of Tibetan Association of Vermont observed prayers for Late Ama Grace Spring at Fletcher free library Burlington, who passed away on March 29th, 2018. 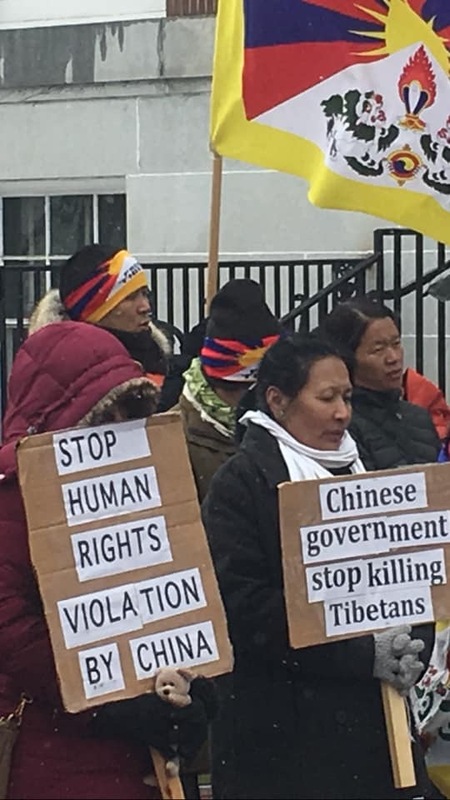 Late Ama Grace Spring is an artist, an activist and a Tibetan supporter who, for more than 18 years, held a solo vigil every Friday morning in front of the Chinese Embassy in Washington with a Tibetan national flag and a placard, drawing attention to the plight of the Tibetan people. 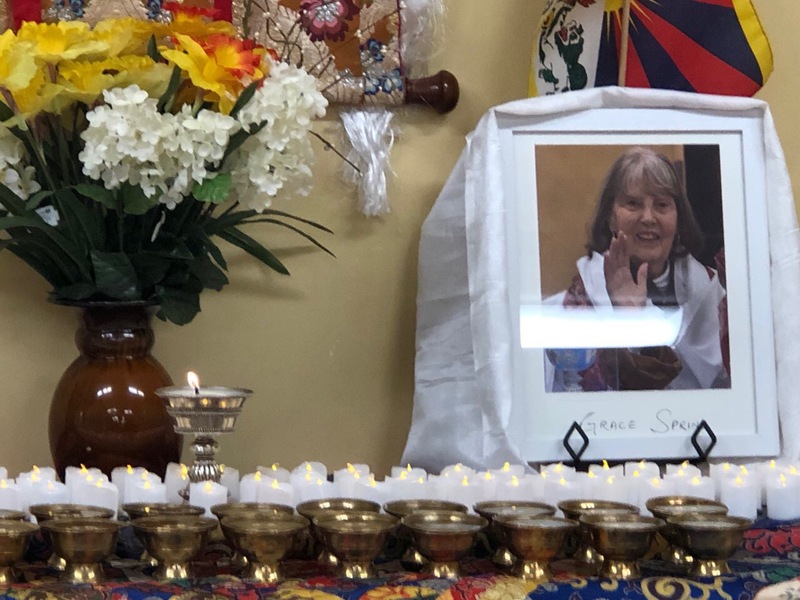 Last year, on February 17, 2018, ICT President Matteo Mecacci bestowed a special Light of Truth award to her in recognition of her many decades of work putting a Spotlight on Tibet. 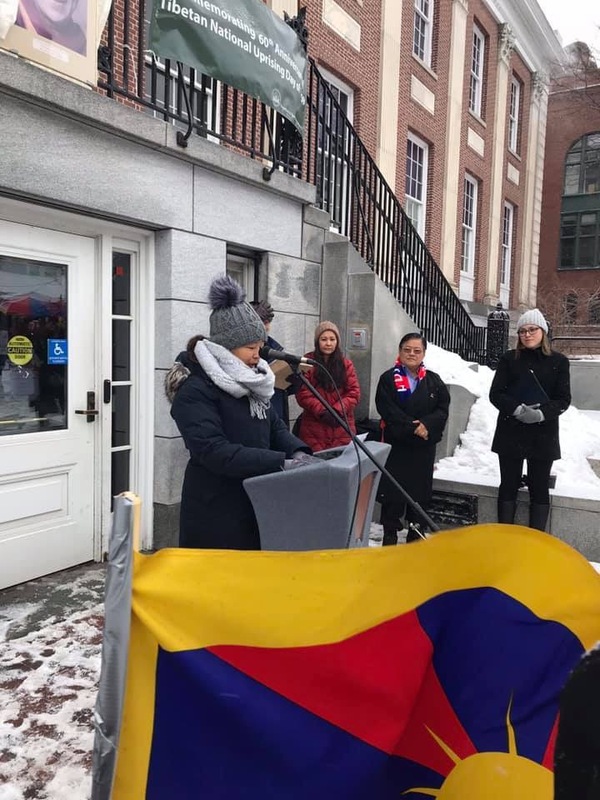 The award ceremony took place at the Burlington, VT in conjunction with Tibetan New Year celebration organized by Tibetan Association of Vermont. ”Let’s Talk in Tibetan” Online Contest. 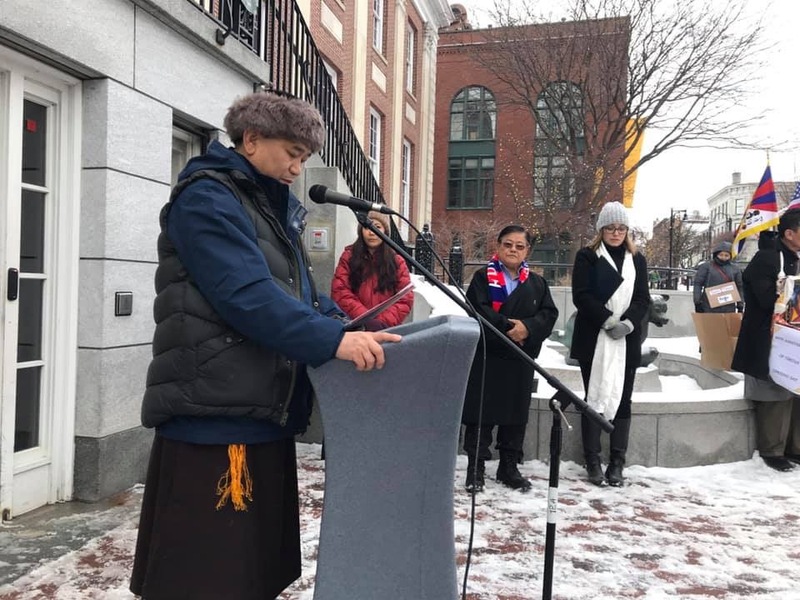 An online contest hosted by The Tibet Fund in partnership with the Office of Tibet, Washington DC invites all young Tibetans ages 6 to 17 residing in North America to showcase their Tibetan language skills and fluency. 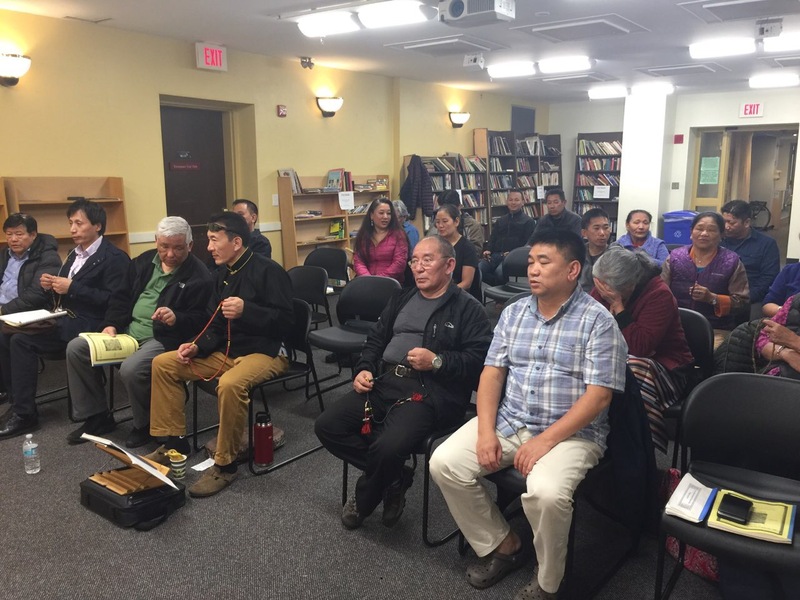 The preservation of the Tibetan language among the young generation in the diaspora community is important to keep alive the Tibetan identity and culture. 2019 Scholarship Announcement From the Dalai Lama Foundation. 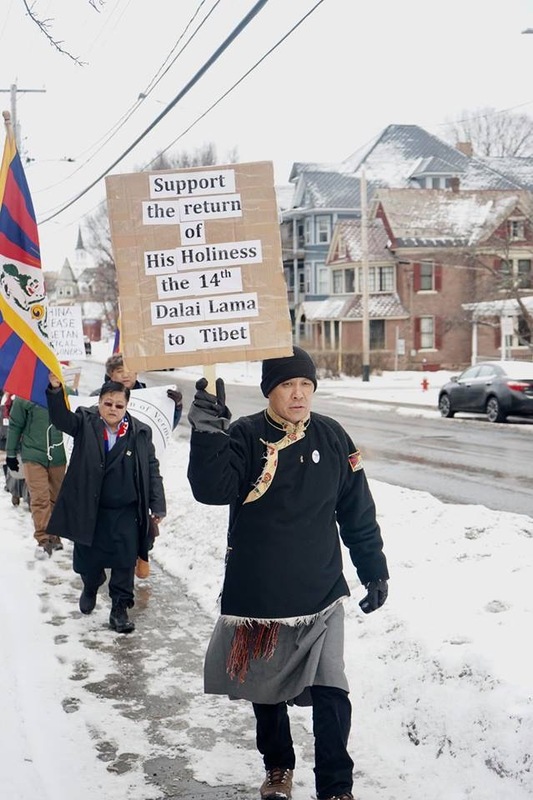 The Dalai Lama Foundation is pleased to announce its eighth round of annual graduate scholarship grants for the academic year 2019-20. Ten to eighteen exceptional candidates of Tibetan descent will be selected to receive scholarship awards of up to US$10,000. 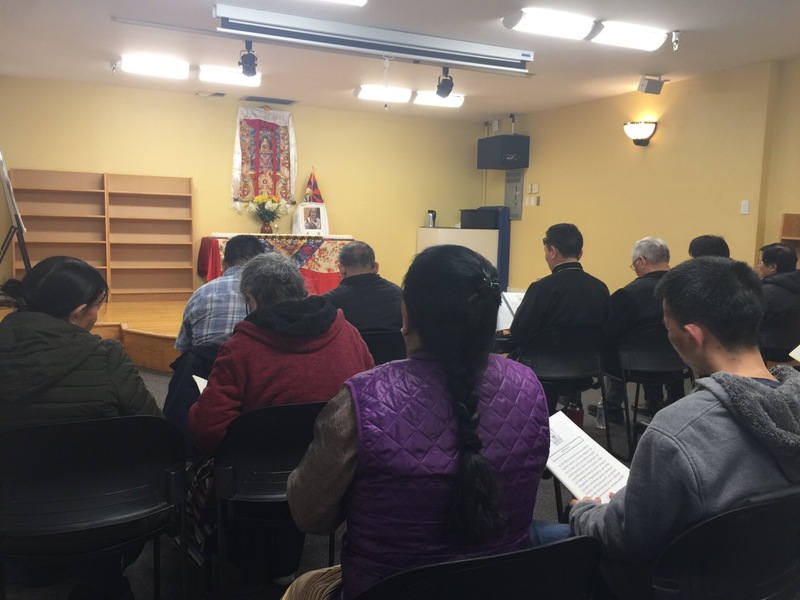 The purpose of the scholarship program is to further the human capital development of the Tibetan people by supporting the pursuit of excellence among Tibetan students in a field of graduate studies of their choice. You can read the fully updated 2019 Scholarship Program Guidelines for detailed information. In order to apply, applicants must provide official documentation of enrollment or acceptance into a graduate degree program in a university in Europe, Australia or the Americas. 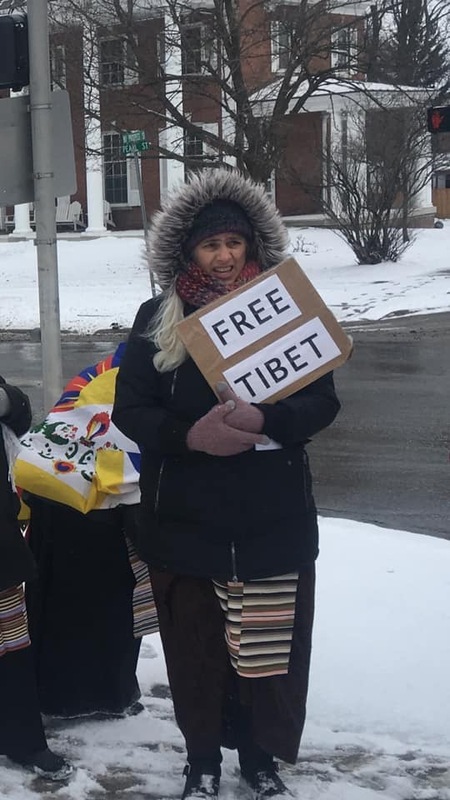 Applicants must also demonstrate proof of Tibetan heritage. Tibetan students residing in India/Nepal are especially encouraged to apply. 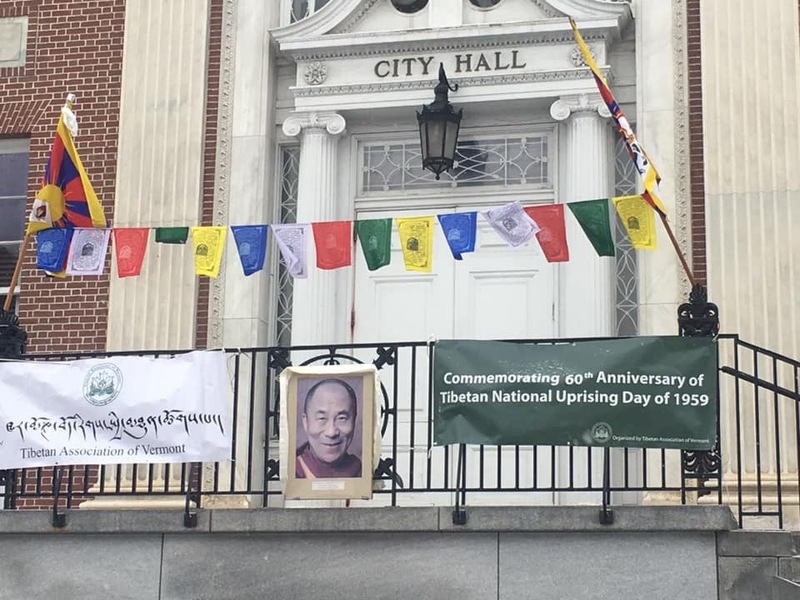 TAV observing the 60th anniversary of the Tibetan National uprising day. 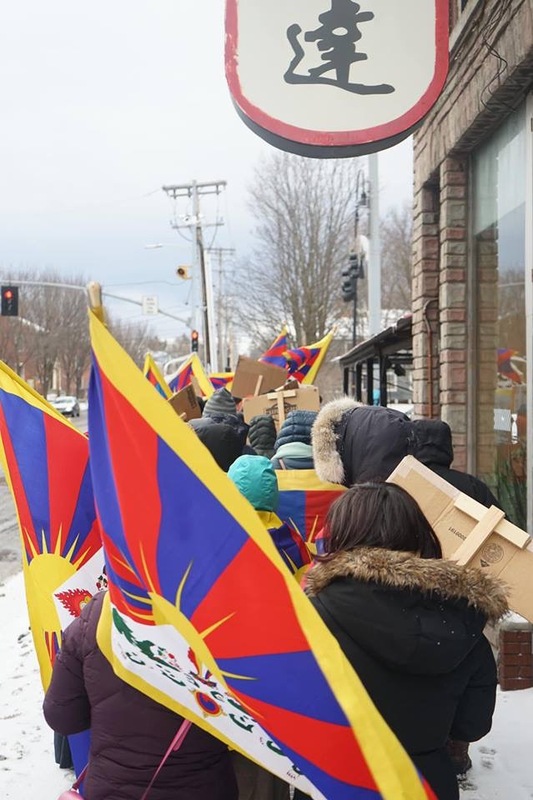 TAV commemorating 60th Tibetan National Uprising Day at City of Burlington, VT on March 10th. 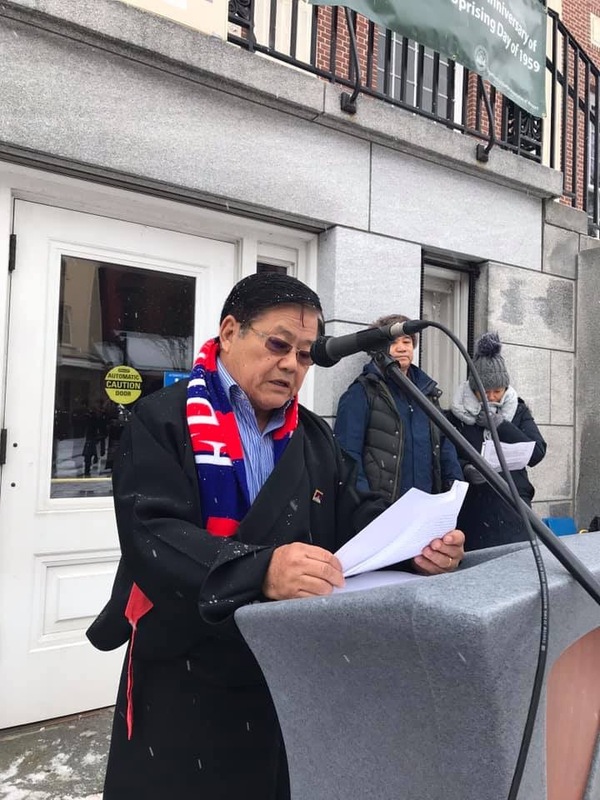 President Sonam Chophel read the statement of Sikyong the President of Central Tibetan Administration. 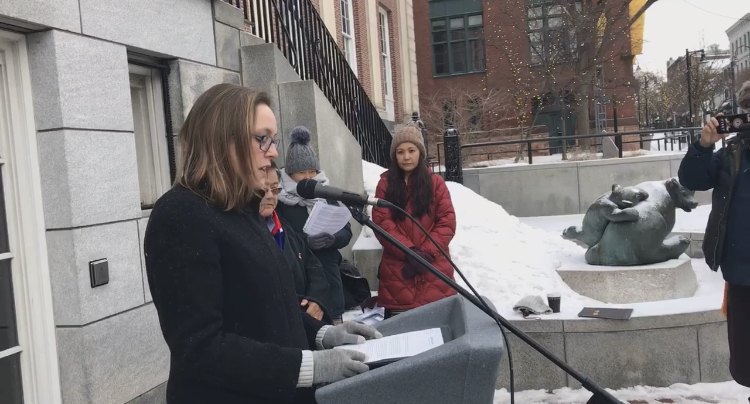 Representative Haley Pero read the proclamation from US Senator Bernie Sander. 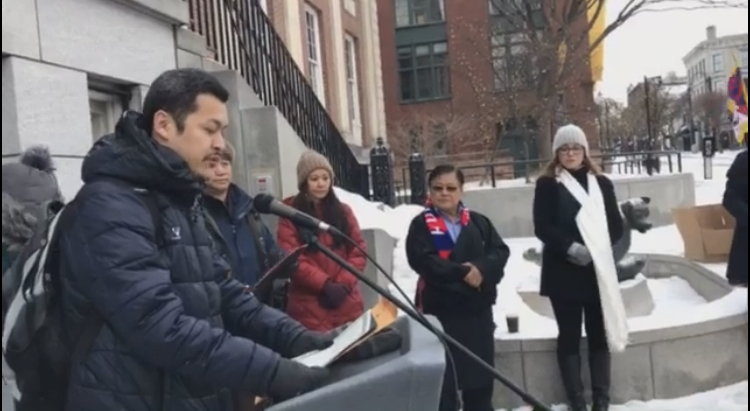 Mr. Tenzin Tsephal la read the proclamation from City of Burlington VT Mayor Miro Weinberger. 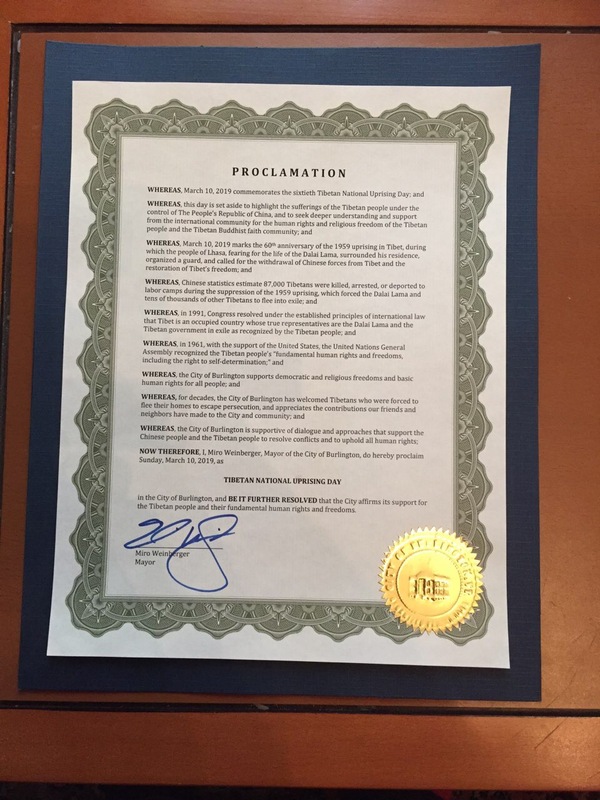 Mr. Penpa la read the statement from Speaker of The United States House of Representatives Nancy Pelosi. Then TAV President leads the peace march. At the end Vice President, Mrs. Tenzin Dolkar gave a word of thanks speech. Secretary Tenzin Waser la had been the event’s coordinator. 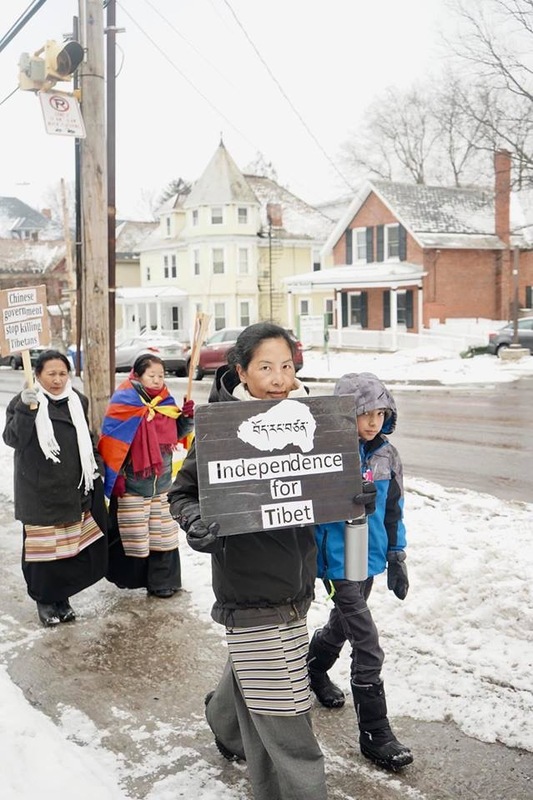 TAV Raising Fund to Benefit the Vermont Tibetan Community Center. 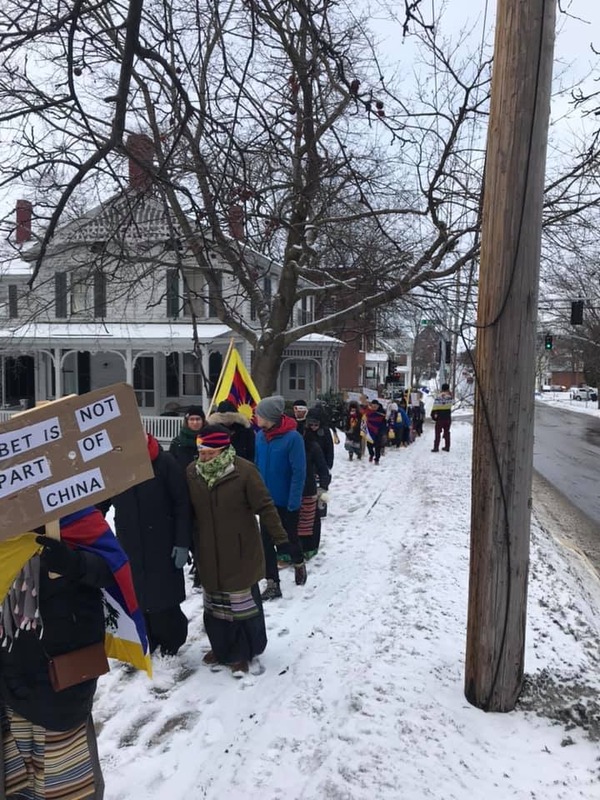 Tibetan Association of Vermont is raising fund through selling Mega Raffle to benefit the building of Tibetan Community Center. 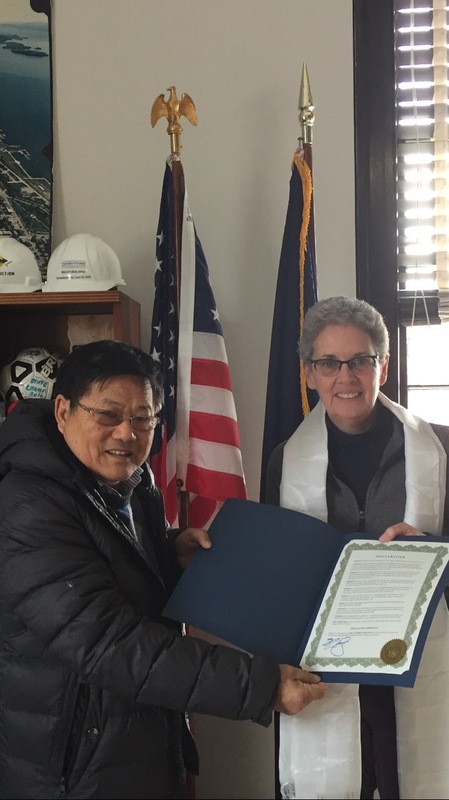 This center will help build a community culture and language center for Tibetan in Vermont. A place will be a hub for the younger generation to preserve their language, culture, and tradition. 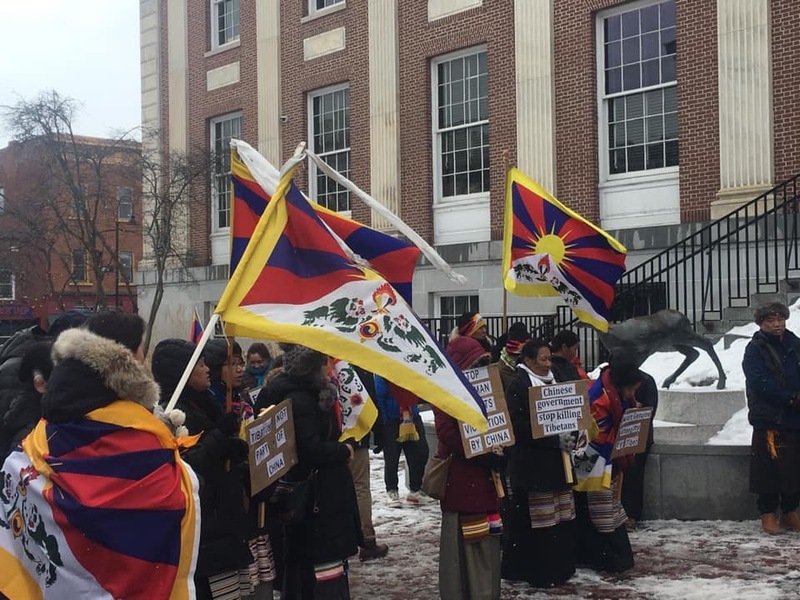 Also, this center will provide awareness about Tibet history and culture to Vermont’s friends and family. 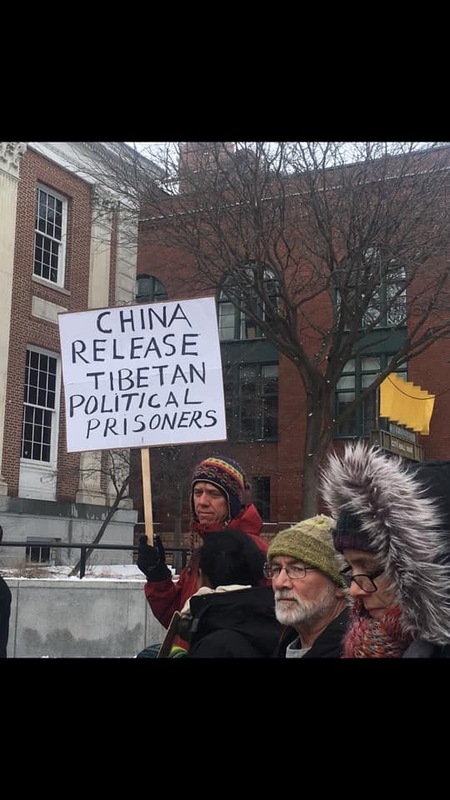 Please contact Tibetan Association of Vermont for information. The donation will accept in any form and gladly appreciated. 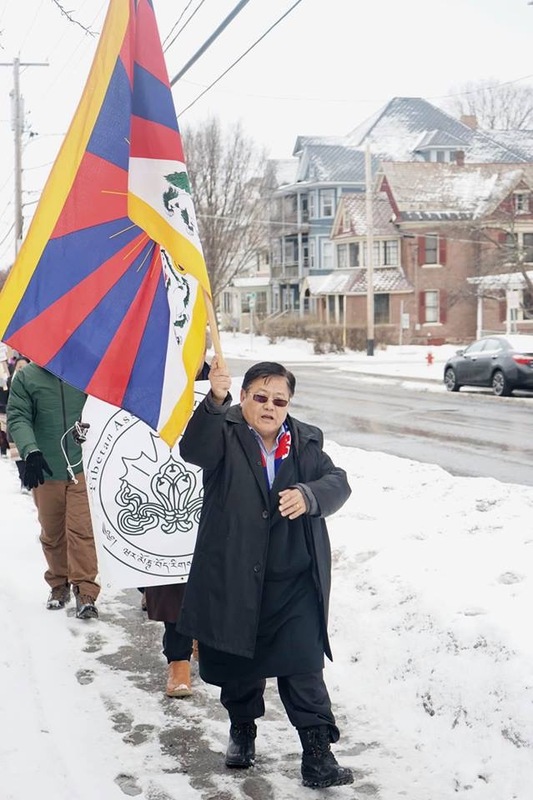 Tibetan Association of Vermont celebrates H.H.Nobel peace prize day..